Lately, I’ve been more intentional about how I spend our resources including our time. I find that it’s easy to get caught up in a rush mentality and burn out in the process. Several years ago, when I was working outside the home, I became physically sick. I lost a lot of weight, I experienced heart palpitations along with daily migraines, and I would pass out from exhaustion. It was a dark period in my life and one I never want to relive. It turned out I had some health issues to deal with, but I also know that my symptoms were exacerbated by my super busy lifestyle. At the time, I was working 10-12 hours per day, taking college courses, and helping my husband with his business while managing our home. I learned over the years to be more protective of my time. I know that our time together as a family is very limited, so making the most of what we do have is extremely important to me. 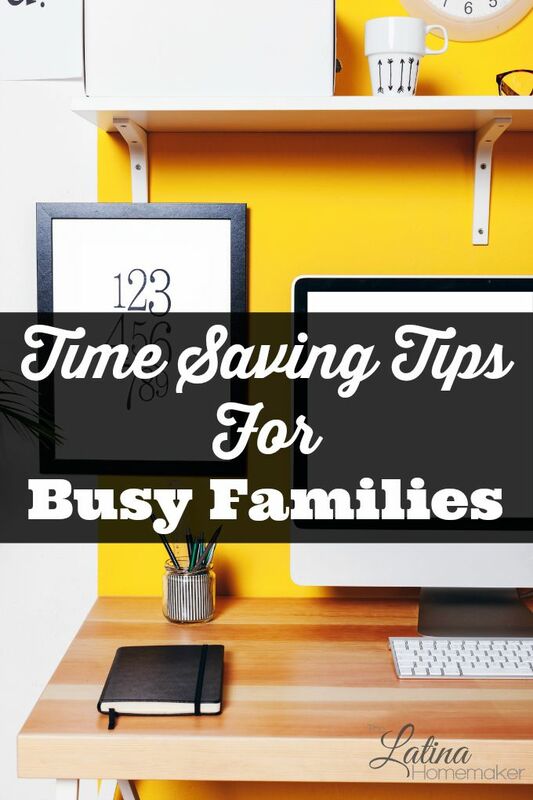 Today I’m sharing some of my favorite time-saving tips to help you reclaim your family’s time and focus on what truly matters. I know it’s easy to feel like we have to keep up with the super organized moms that color code their calendars like it’s their business. I envy them. But I also know that I wasn’t gifted with that skill. So instead of creating more work for yourself by trying to manage home binders, calendars, menu plans etc., narrow it down to the things that are important to you and that will truly help make your life easier. For me, meal planning and keeping up with my laundry routine is a must. Everything else gets spread out throughout the week. These are my non-negotiables. As long as laundry is handled and dinner is made, I feel somewhat sane. To learn more about my morning routine go here. So I just told you to simplify, but now I’m telling you to plan meals? Yes, I am. But trust me, it will be worth it. How you plan your meals will depend on your family’s needs, budget and how much time you have available. During the summer season, when things are more relaxed in our home, I rotate a few of our favorite meals. When things get busier, I plan more carefully and try to stick with simple meals. If you own a crockpot, this is when you want to start using it. Putting dinner together first thing in the morning will alleviate a ton of stress when dinner time rolls around. If your child is already involved in a fall sport or activity, don’t add more to their plate or yours. In our home, we only allow the kids to take on one activity at a time. I want my kids to enjoy their childhood and not grow up thinking that being busy is the norm. I also don’t volunteer or take on more work than necessary during my children’s sports season. Another rule we have is limited family outings. I enjoy getting out and exploring with my family, but when life gets busy we keep it low key. That means we say no to a lot of invitations and don’t fill up our schedule. During our busy seasons, we try to juggle it all in hopes that we will survive long enough before burning out. We fall into a vicious cycle that consists of going into survival mode with a short break in-between. But what we fail to do when things are chaotic, is accept help from others. I know it’s not easy, and sometimes it feels easier to simply do it yourself. Personally, my biggest hurdle was my pride. I felt like I had to be supermom and do it all on my own, plus I had an issue with wanting things to be done my way. I found myself getting upset with my family when they didn’t help out, yet they had no way of knowing that I wanted help because I wasn’t verbalizing it to them nor giving them the opportunity to help. Now I allow my kids to help out with the household chores and my husband helps wherever I need him to chip in. If your kids are too small to help, don’t be afraid to allow extended family members to help you. Even friends can help alleviate the burden by providing car rides or child care. Giving up a small task can make a huge difference. What are your favorite time saving tips? I would love it if you chimed in and shared with others. 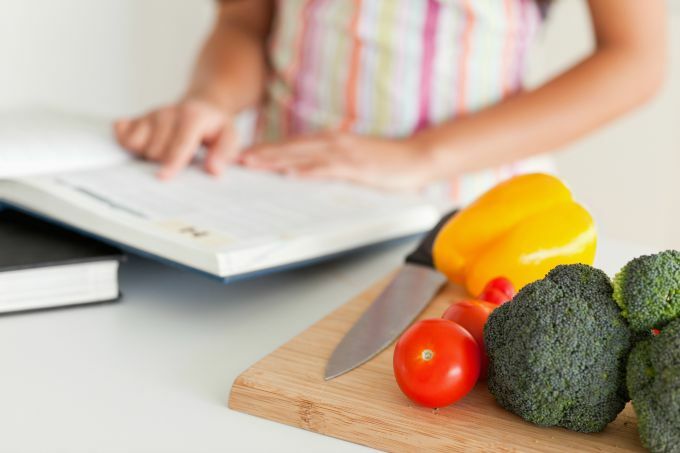 Meal planning is not only time saving, but mental-energy saved. If you can at least decide what to eat during the week (if not which days) all on one day every week, it’s an amazing thing. I don’t always do it, but you can bet that I enjoy every week that I can go without having to think of what we’re eating for dinner every day. That’s energy and time saved every day during the week. And while the actual meal planning can be stressful, you will get used to it – and having older meal plans to look back on makes it even easier for future weeks! Easiest way to save time without having to actually clear anything from your schedule!